First off, I sketched the spray can and cut it out to make the stencil out of it. 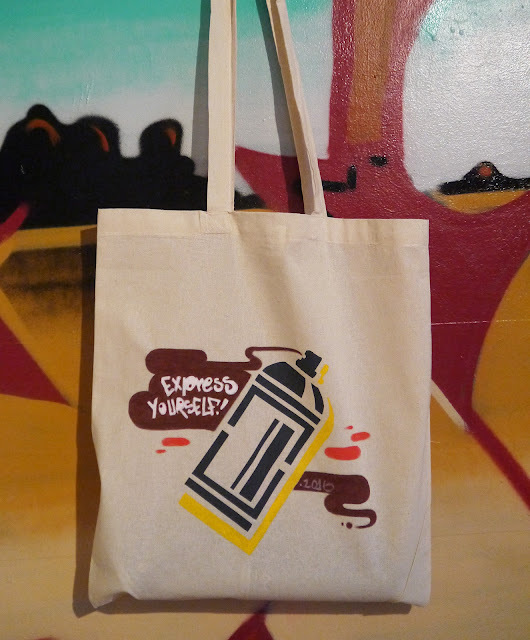 After that we printed it on a cotton bag, by placing the stencil underneath the screen. At home further details were added with Uni Posca / Molotow paintmarkers.